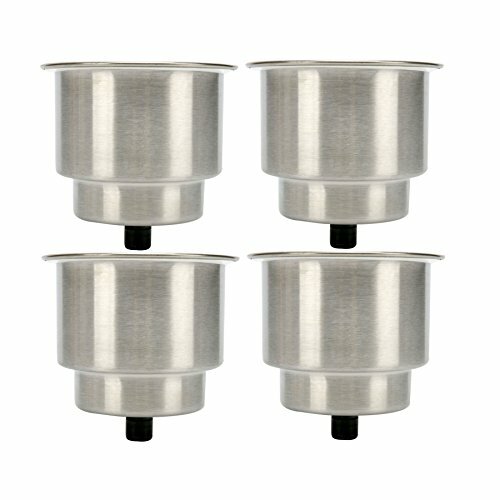 4 stainless steel drop-in drink holders. Amarine Made Stainless steel self draining recessed cup holder ;Install almost anywhere; table, counter top, dashboard, seatback, etc. The YakAttack GearTrac Spectralite is similar to the GT90 but is made from high end, super strong polymer. Designed for light to moderate duty applications, this kit includes socket drive button head, stainless steel screws plus nuts and washers. The optional FullBack backing plate provides easier installation and increased security (sold separately). Hole spacing is 1 3/4 in. Take your dock party or boat outing to the next level with the portable, versatile, Docktail Bar. The Docktail Bar features an innovative design that allows you to bring all your favorite drinks with you on your boat and effortlessly start mixing up your party. 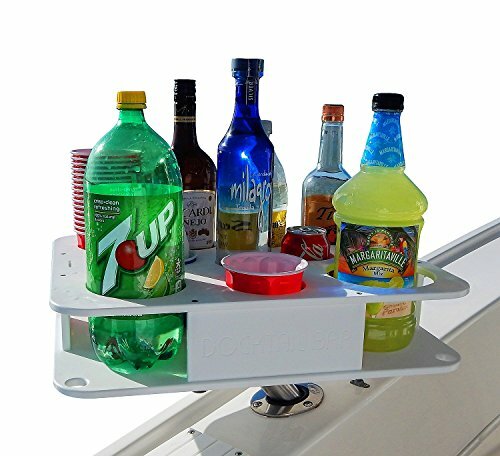 The dry bar and boat bottle holder puts everything in its place while you are boating, fishing or swimming, and keeps it there until you are ready to mix up your drinks. Bring along your personal boat bar and stop nasty spills and broken bottles from ruining your trip. The Docktail Bar makes serving drinks on your boat easy and more efficient with customizable bottle inserts that keep your cups, bottles, mixers and ice secure. With two Docktail Bar designs and a variety of compatible mounts and inserts, you can make the perfect dry bar for every excursion. Start enjoying your relaxing trips on the water to the fullest. Take a look at the two versatile designs and order your Docktail Bar for yourself or a friend. This Docktail Semi Custom Bar package comes with the rod holder mount and hardware and offers full bottle size versatility and fully customized freedom in bar configurations as the small cutting board insert. Also pre cut are three center cut slots that can hold 12 oz bottles or cans as well as small plastic cups (Solo Cup Jr's fit perfectly) that act as receptacles for garnishes, napkins, straws and the like. Measures approximately 19-1/4 inches Long by 14-3/4 inches Wide by 4 inches High. 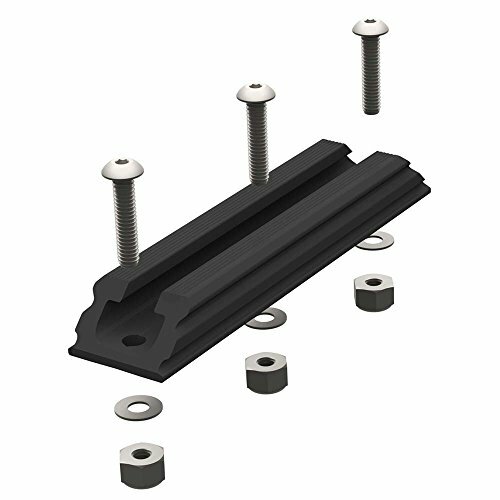 Mounts in most standard sized rod holders and allows you to level flat at most any angle. If you don't have a rod holder on your boat other mounting types are available. Please ask for recommendations. Portable Boat Bar, Bottle and Cup Holder. Holds most bottles and cups from 1.75 liters and smaller. Made of King Starboard, UV stabilized, fastened with stainless steel hardware, folds flt for storage. Bar includes 1 cutting board insert and has 6 pre cut bottle slots - Two 1.75 Liter, 2 1 Liter, 2 two Liter and 3 accessory bottle slots. Turn key package includes bar, cutting board insert, Magma rod holder mount, stainless steel hardware. Are you or a family member fueled by a passion to be on the water in the Boat? 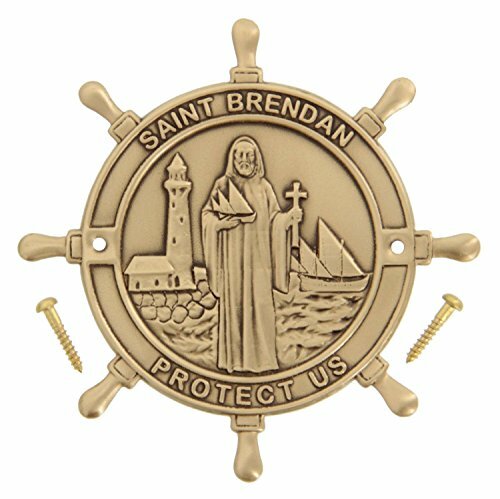 Did you know that Saint Brendan is the Patron Saint of Sailors? What better gift to give the mariner than this perfectly sized bronze color brass plaque that can be affixed to the Boat. Depending on the surface it can easily be affixed with a good, strong double sided tape (sold separately), or to wood using the two 0.5" roundhead screws included. Comes with a LIFETIME manufacturer's warranty for peace of mind. Get Ready for Summer! The perfect addition to protect over your boat or that of your loved ones. Makes an ideal gift, such as Father's Day, Christmas, Birthday for your boyfriend, husband, grandad, son or grandson - or even treat yourself! 3.1 diameter brass Irish St Brendan the Navigator boat plaque with two brass mounting screws - Comes in a boating theme plastic container ready for gift giving. Made in USA by 100+ Year Old Family-Owned #1 Religious Jewelry Manufacturer. Comes with a LIFETIME manufacturer's warranty. Our Premium 3 PC Scrub Set includes 2 scrub brushes that are made from durable, heavy duty marine grade stainless steel that will not rust or fray and can be used to remove years worth of grey and black buildup to restore natural beauty and color to Teak and other fine wood. 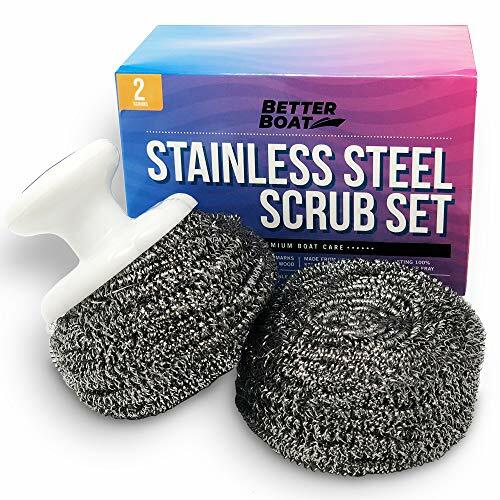 This set also comes with a grip handle that makes your job easier, more comfortable and cleaner, these stainless steel scrubs can be used to clean boats and furniture such as a teak chair , table , bench , desk or shelf simply with water alone or with a teak cleaner , wood cleaner brightener followed by a teak oil. We proudly stand behind the quality of all our products with a 100% Manufacturer Money Back Guarantee! We are a family owned American business committed to making premium quality products. If you don't love our Stainless Steel Scrub Set, simply let us know and receive a full, no questions asked refund. REMOVES STAINS FROM WEATHERING, MILDEW & MORE: Our premium scrubs remove tough to clean stuck-on dirt , stubborn stains , algae , scum , oil , grease and grime to restore and revive Teak and other fine woods. They work to remove years worth of grey and black buildup beautifully restoring wood to its natural color. 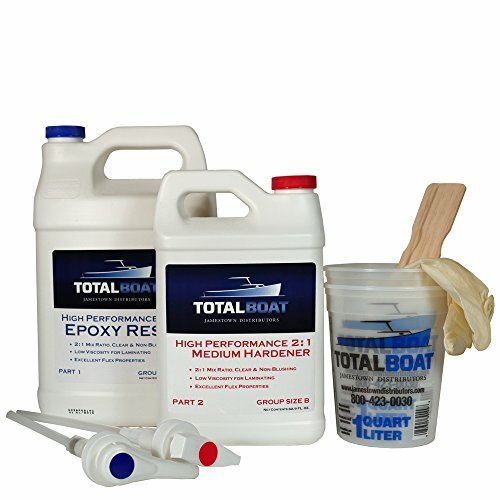 Use with water alone or with teak cleaner and brightener , teak restorer and also works great with Teak oil to clean or restore a boat deck or hull, or indoor and outdoor furniture. NO RUST MARINE GRADE STAINLESS STEEL: Made from heavy duty, long lasting 100% marine grade stainless steel that will not rust, fray or wear down quickly. Our durable stainless steel scrubs are sturdier than steel wool giving them a longer useful life. 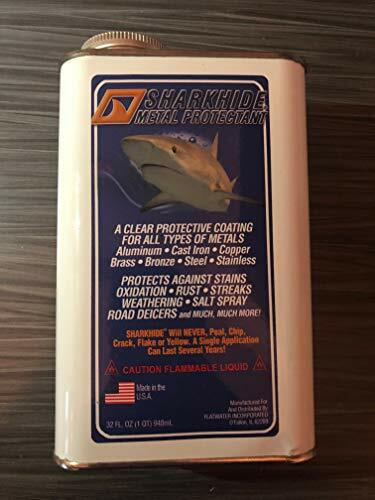 They work great alone or can be used with teak wood cleaner , teak wood oil , teak oil spray or teak furniture polish to maintain your boat, sun deck , outdoor patio furniture including benches , chairs and tables to keep them looking great. 3 PC SET W COMFORT GRIP HANDLE: Premium set includes 2 Scrubs and 1 handle to deliver superior performance and great value. The ergonomic handle makes use more comfortable than a scrub alone while keeping hands clean. 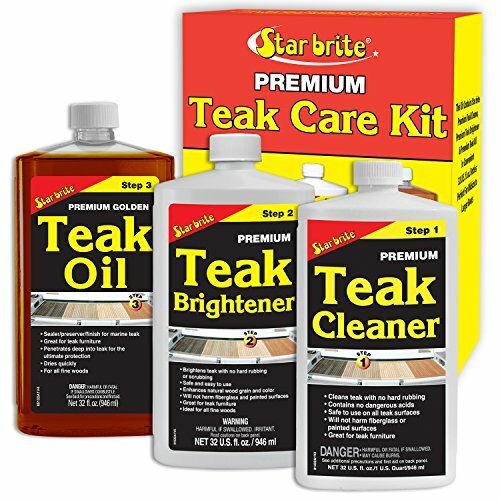 This set works excellently with teak cleaner for outdoor furniture , teak oil for outdoor furniture , teak oil for indoor furniture , teak sealer , teak protector or patio cushion cleaner. 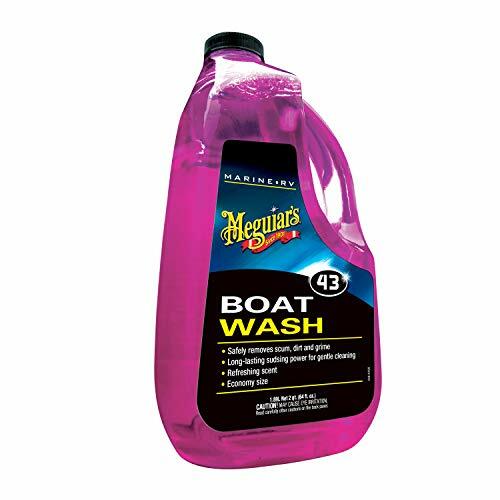 We stand behind the quality of our boat cleaning products with a MONEY BACK GUARANTEE! 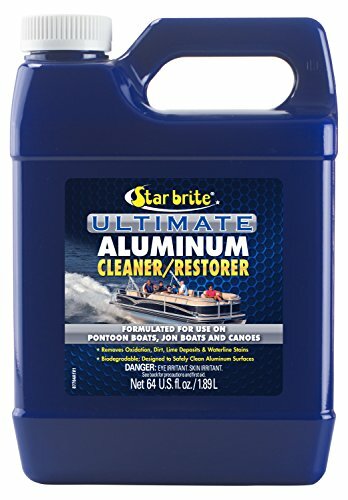 THE BETTER BOAT QUALITY PROMISE: Better Boat offers a comprehensive line of premium quality boat care products. Developed by boaters for boaters, our marine-grade products are made to strict, tested, trade-secret standards. We offer all the tools needed to make caring for your boat easier so you can spend less time cleaning and more time on the water. 100% SATISFACTION MONEY BACK GUARANTEE: We proudly stand behind the quality of all our products with a 100% Manufacturer Money Back Guarantee! We are a family owned American business committed to making premium quality products. If you don't love our Boat Teak Deck scrubs, simply let us know and receive a full, no questions asked refund. 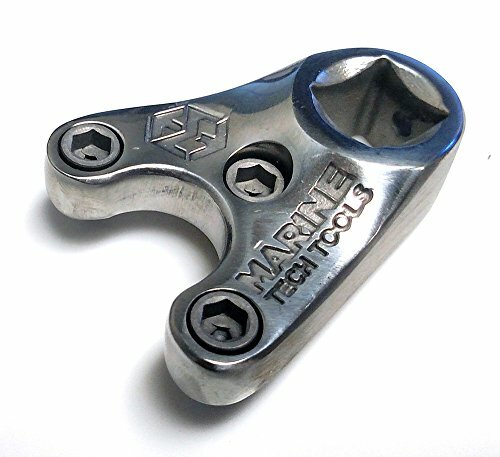 Our premium marine grade telescopic handle extender pole is made from durable yet lightweight aluminum making your job more comfortable and easier, the locking pole arm extends from 3.5 feet - 6 feet and can be adjusted to various lengths to accommodate your boat, car, RV or paint roller needs. 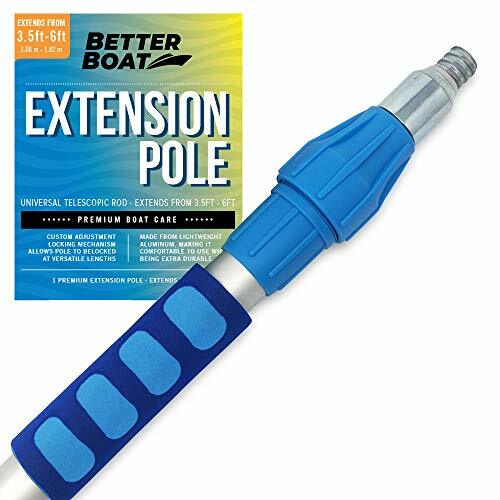 Our extender aluminum telescoping pole features a universal 3/4" Acme thread that can be used with our Better Boat Deck Brushes, other standard brush heads, sponges, squeegees or as a paint roller rod. This versatile handle is sure to become a work-horse in your arsenal of cleaning supples, keeping your boat and automobiles looking fantastic. We proudly stand behind the quality of all our products with a 100% MONEY BACK GUARANTEE! We are a family owned American business committed to making premium quality products. If you don't love our Extension Pole, simply let us know and receive a full, no questions asked refund. LONG REACH TELESCOPING POLE EXTENDS FROM 3.5 - 6 FEET: Our premium extension pole features a custom adjustment locking mechanism so pole can be adjusted and locked at different lengths in order to accommodate all your boat cleaning needs. This versatile extendable pole can be used as broom handle with various extension pole attachments such as a deck brush then used to clean a deck, hull and more. At the shortest length it can be used as a broom stick or extend it out for hard to reach areas. VERSATILE UNIVERSAL 3/4 ACME THREAD TIP FITS DIFFERENT HEADS: Our telescoping handle extension rod features a standard .75 threaded pole tip that can be used with various attachments including a brush head, sponge, squeegee, paint roller or broom head. This one extension handle works for all your needs! 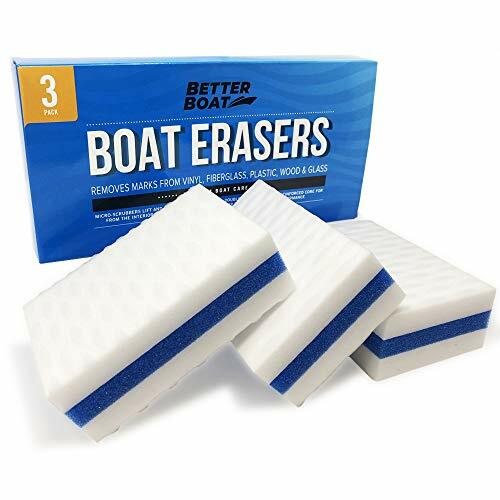 It can used to clean the interior and exterior of boats, as a deck stain applicator , also works great for your auto and RV needs and can be used as a car wash pole or truck washing brush. LIGHTWEIGHT YET STONG ALUMINUM FOR EASY USE: Our marine grade extending pole is made from lightweight aluminum, making it comfortable to use while being extra sturdy and durable. Our premium expandable pole features a comfort grip handle with dense foam padding and an ergonomic design. This versatile pole can be used as an extension pole for cleaning or with a paint roller as an extension pole for painting. We stand behind the quality of our boat cleaning products with a MONEY BACK GUARANTEE! 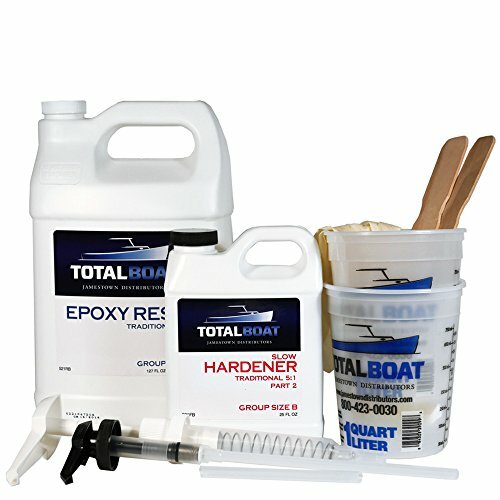 EXCEPTIONAL QUALITY: Better Boat offers a comprehensive line of premium quality boat care products. Developed by boaters for boaters, our marine-grade products are made to strict, tested, trade-secret standards. We offer all the tools needed to make caring for your boat easier so you can spend less time cleaning and more time on the water. 100% SATISFACTION MONEY BACK GUARANTEE: We proudly stand behind the quality of all our products with a 100% Manufacturer Money Back Guarantee! We are a family owned American business committed to making premium quality products. If you don't love our Boat Extension Pole, simply let us know and receive a full, no questions asked refund.